Montana is known by some as the whitetail mecca of the West. Backcountry Montana Adventures shares this experience on a private land lease on prime river bottom habitat along the Beaverhead River. 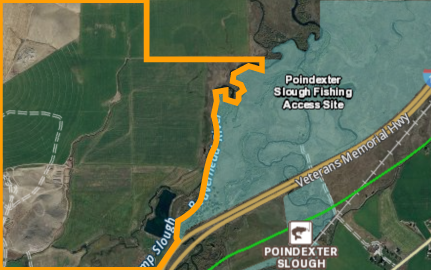 With just over 800-acres the property borders a 330-acre walk-in, day-use fishing access site that acts as a larger sanctuary for the local deer to move between feeding, water and mature in a low-pressure environment. Your hunting opportunities will be enhanced by the experienced team of professional guides working with us. All private land whitetail hunts require a guide. Backcountry Montana Adventures will assist in booking the finest accommodations in the area. We work with ​Beaverhead Resort to offer an intimate setting along the river. Cost of lodging not included in our hunting package. During the booking process we will guide you through the application process based on your hunting goals. Whitetail hunts also offer the opportunity for over-the-counter doe license(s). These licenses depend on the district with varied availability per hunter. Hunt the property for a party of 2 with one guide. A single hunters exclusive access to hunt the property with a guide. © COPYRIGHT 2018. ALL RIGHTS RESERVED. MT OUTFITTER #7927.